Fun learning for your infants and toddlers. From birth to about 2 years of age, your children can already learn about the world through their senses. This is called the Sensorimotor Stage. 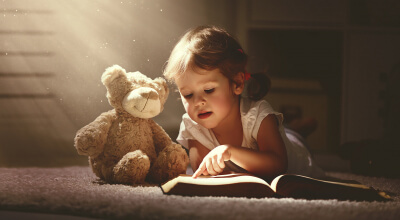 Although your infants and toddlers cannot communicate with concrete words, they are able to understand their perception of the world through touching and feeling objects around them. At Lil Inventors Child Care, while we are caring for the little ones, we also have activities that will help them experience the world around them. We have safe infant rooms where our expert caregivers will shower them will love and affection. You can rest assured knowing that your babies will be properly taken care of while they are cuddled, rocked, and played with. They will have their own cribs and moms will have a private nursing area to feed their babies. All infants are also on individual feeding and napping schedules which mirror their home routines. Their toys, gilders, cribs, and changing tables will be sanitized daily and a “shoe-cover” policy is enforced to ensure that the area is safe and clean for the infants to explore. To know more about our Infant-Toddler programs, please feel free to call us at 718-502-6455 or send us a message online.